Twelve people, including seven students, were killed in an attack on the American University in Kabul that sent hundreds of students fleeing in panic, police said early on August 25, before the assault ended when two gunmen were shot dead. The attack began at around 6:30 p.m. local time (1400 GMT) on August 24 with a large explosion that officials said was a car bomb followed by gunfire, as suspected militants battled into the complex where foreign staff and pupils were working. 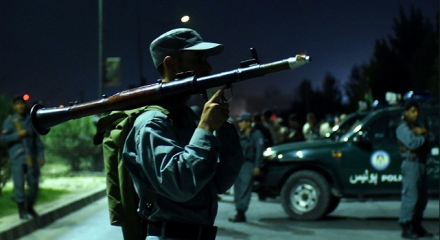 Fraidoon Obaidi, chief of the Kabul police Criminal Investigation Department, told Reuters that police had evacuated between 700 and 750 students from the university, which is popular with Afghanistan’s elite. Islamist militant groups, mainly the Afghan Taliban and a local offshoot of Islamic State, have claimed a string of recent bomb attacks aimed at destabilising Afghanistan and toppling the Western-backed government of President Ashraf Ghani. State Department spokeswoman Elizabeth Trudeau said the US Embassy was working to account for all of its personnel and to locate and assist any US citizens affected by the attack.